All this talk of IT Pro SharePoint 2016 What’s New and SharePoint 2016 What’s in it for Developers made me decide there really needs to be some messaging for the users. There’s definitely business value in the box, but the usability, performance, and improvements for mobility and integration with everyday life that make a difference when you go try to get users excited about SharePoint 2016. Make sure you’ve put together your list of favorite features for your users when you get ready to tell the business that you want to spend time learning or deploying SharePoint 2016. App launcher and Site Pages pinning – easily navigate across SharePoint through a consistent global app launcher experience users have become familiar with in Office 365, now for SharePoint 2016. This global navigation will help make certain apps like Yammer, OneDrive, and Delve more of a seamless experience. Can quickly navigate between the cloud or on premise. It’s extensible. Users can pin their own sites or developers can extend apps across Office 365 and on premises. You can also pin any sites to the sites page. Follow sites and their folders are more accessible. They are also easier to get to through the app launcher global navigation previously mentioned. Simplified Usability – The difficult to use ribbon has been simplified based on Microsoft usability testing for the tools users need most. These simple controls have been integrated into the default UI without having to click to find the ribbon. Image and Video previews now available in libraries by simply hover or click. OneDrive has improved synchronization for taking files offline and for sharing, more on the OneDrive blog. OneDrive has also been enhanced with an easier to access Recycle bin in the left nav. Share – Sharing has been added to pages. This sharing experience of simply adding the users that you want to share the page with will automatically be added with permissions. This will simply user permissions as well. It’s a concept that started in OneDrive that’s making it into sites. This sharing behavior also consists of faces along with user friendly names. You may see these features grouped as people focused file storage and collaboration. New invitations and one click approve or deny requests though email. Large File handling – While most users won’t notice that the 50MB default limit is now possible to go up to 10GB, but for those who have been bothered by the 2GB limit will definitely know due to support for large media, videos etc… Not only do you get larger files, but you also get better support for more files. The popular 5000 item limit is no longer… what is will be is yet to be seen. Farm Admins can still restrict this, so end users may not actually be able to use the new limits. Character Restrictions Removed – Use any characters you want. Want to use an & or + in the file name. It’s no problem. 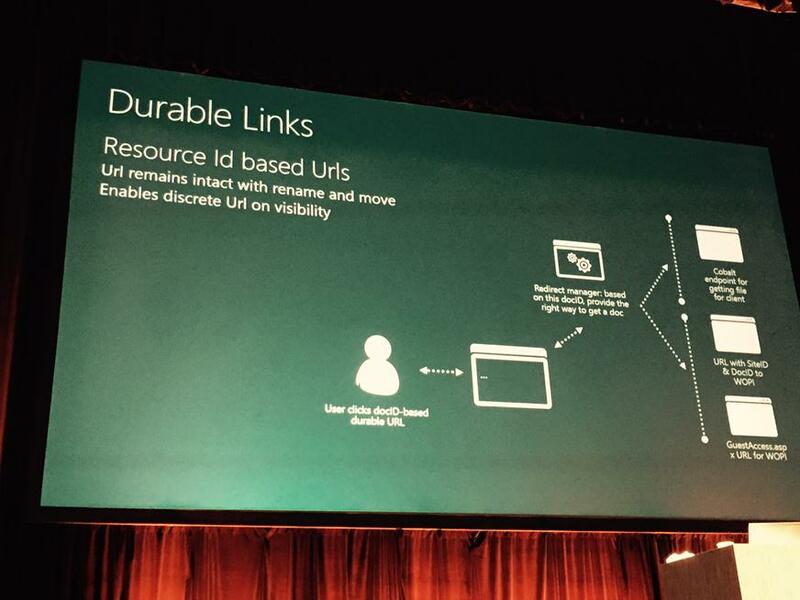 I see this also along with the features around durable links which is a bonus user feature. Hybrid Delve – Users previously had to just use Delve in Office 365 to show online files. Now with Cloud Hybrid Search, users can get experiences from data Online or on premises. Users can create boards with items from either environment and across farms. Unified Search – Users use to have to search both Online and On premises, now in 2016 they can have a united search experience in the native SharePoint 2016 search UI. Zero Downtime – Some will say Zero Downtime Patching sounds like IT features, but ultimately it’s the users that are getting the benefits of no downtime. No one wants to see emails that say their servers are down for maintenance. Getting 99.99% availability which MS says is possible with SharePoint 2016 is definitely a benefit to users. Touch Mobile Views – mobile, tablets, desktop the experience. There is talk about Responsive Design, which we are seeing in some areas in the IT preview, more to come I’m sure. The integration of the mobile apps with the new mobile UI is much, much smoother. While the mobile views are much better than they were, I’d really like to see the pages more responsive as well. We are seeing some of this in the preview and other examples such as in Delve and Video Portal. I’d like to see this on the search results page and default home pages of team sites and responsive portals. Remember this is beta. I do believe Microsoft is hearing we want more responsive pages and not just mobile views. Improved Auditing Compliance and Reporting – The word is auditing and reporting is going to be better. New DLP, Data encryption, improved security for mail transport. You’ll also see features listed as personalized insights. New compliance features for SharePoint Server 2016 IT Preview include the document deletion and in-place hold policies. See more on compliance features on TechNet. As well you can read more on encrypted connections. Unified auditing features is another place to look for more information on this. Auditing is really being overhauled as you may see “view auditing” referred to as legacy. Better Performance – BITS or Background Intelligent Transfer Service is built into the system. There are other areas of the product that also get faster including faster site creation. Faster search. If you’ve been following the browser wars, you could say the launch of Microsoft Edge was a step forward for Microsoft, but there is some real oversight by the Edge team. Drag and Drop doesn’t work on Microsoft Edge with SharePoint 2013 or Office 365, the work around was using the IE 11 option, but that isn’t so great either no data grid editing capabilities. In addition, on Windows 8.1 I just got a prompt to upgrade an “important” update which is to update IE on my work desktop. It wants me to upgrade to IE 11. Neither Edge nor IE 11 works with SharePoint & Office 365 SharePoint Online Data Grids for quickly updating a list in SharePoint. Am I dead in the water on these controls? Nope. There’s a work around. Use Google Chrome. Seriously??? How Chrome got this to work is impressive and should be noted. We still live with ActiveX in SharePoint and I’ve been begging MS to take note of our dependencies on legacy technologies that even the latest versions of IE don’t support (hasn’t worked since the 64 bit IE was introduced). A few of the ActiveX Controls in SharePoint have not worked in Microsoft’s own Internet Explorer Data Grid being a great example. How crazy is it that Chrome is currently the best browser to use on Windows 10? Is this the new Microsoft? I’m hoping that the MS Edge team takes note of this oversight so users can make the decision for themselves. Pretty much drag and drop doesn’t work on most web based apps. It’s been disabled. You’ll see an old school No sign (circle with a strike through it) as you attempt to drag and drop to your SharePoint libraries. Verdict? I go back to my recommendation that IT may have to have 2 browser standards. One that supports legacy apps and one that supports modern editing. What’s your option with Windows 10? Best of both worlds apparently today is Chrome. Your move Microsoft Edge team! 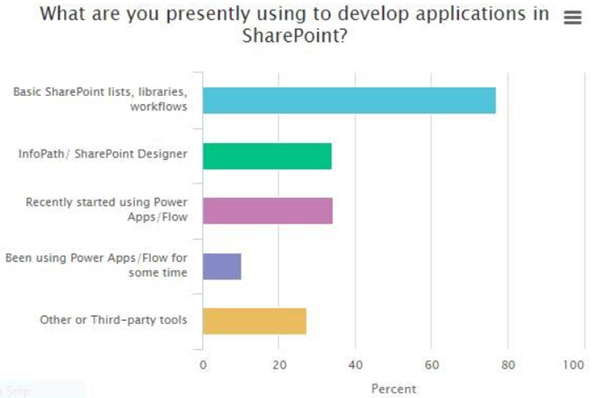 Talk to the SharePoint team… pretty pleaseJ. The SharePoint 2016 beta experience from my testing of the “alpha” at ignite and I’m finding there is no difference. I don’t want to have to recommend Chrome to my SharePoint friends, but I am. I’ve only been told 3 times when I bring up this issue. Well, the work around is use Chrome. Ok? Really? I’m not anti-google, in fact I use Chrome quite a bit, but I like to offer companies and users a choice. Let’s get back to choice. Office 365 & SharePoint Users: Wait or Upgrade to Windows 10? SharePoint people around the world are asking themselves this question. Should I wait or should I upgrade? Windows 10 brings a lot of improvements to desktop productivity and Microsoft’s push to target Windows 10 far and wide led to millions upgrading on day 1 of it being available. Those using Office 365 and SharePoint have heard rumors that drag and drop doesn’t work on Microsoft Edge browser. Is that enough to hold up your upgrade plans? For some it already has been enough to scare them off. Some are looking for any reason to delay upgrade. Login improvements to Azure Active Directory for Office 365 – There is great potential for eliminating the continuous prompting for authentication for logging into Office 365. Most organizations using Office 365 with an on-premises Active Directory (AD) will synchronize their directory with Azure AD. These improvements alone can create a seemless experience for creating much richer desktop integration with OneDrive for business and quick seamless access to email. The great part of this is with Windows 10 login to you’ll join Azure AD to enable single sign-on (SSO) to Azure AD-integrated services. The ultimate goal of single sign on gets one step closer for the enterprise cloud with this component of Windows 10. Note it must be configured and when done properly this is typically setup during the install process of Windows 10. TechNet describes this as bringing the cloud to the desktop: “Choosing the first option (This Device Belongs To My Company) and clicking Next leads to a dialog box that prompts you to set up “your work or school PC.” That dialog box is intended for Azure Active Directory credentials, such as those linked to an Office 365 account.” As well just because you’re getting a good experience with the cloud doesn’t keep you from getting a decent Single Sign on for On Prem. Windows 10 PC’s and tablets that are joined to Azure AD will also provide SSO to on-premises resources when connect to the corporate network and from anywhere with the Azure AD Application Proxy. Automatic MDM enrollment. Windows 10 PC’s and tablets can be automatically enrolled in an organizations device management solution including Office 365 Mobile Device Management including InTune as part of joining them to Azure AD. You can control the messaging, a logo to support enforcement with a friendly management experience, including free text such as contact info and phone numbers for support. There is also support for 3rd party MDMs. Recent Documents includes SharePoint and Office 365 docs – One of the improvements that begins in Windows 10 but also continues with Office 2016 is the concept that cloud doesn’t start outside of the desktop. Now documents you’ve worked on in the cloud will be in your recent documents in nearly all native apps. It gets even better in Outlook Mail when using attachments as they now have little indicators to show where they are coming from such as OneDrive for Business in SharePoint or Office 365. The cute little cloud is a nice touch and may definitely encourage users to be less scared about saving a document to SharePoint or OneDrive. Figure: When attaching items SharePoint and OneDrive and OneDrive for Business all show up with the Cloud as part of the Icon. Figure 2: Notice the menu on Word 2016. The ribbon and menu items try to continue to be useful even at very small resolution. Taking Notes on MS Edge browser and putting them in OneNote and saving that to OneDrive for Business in Office 365 is probably one of my favorite reasons to upgrade, but the Edge experience on SharePoint is fine as a reader or casual browser, but not so great when working with SharePoint as a contributor. In my follow up post I’ll show you the real deal and pit Chrome against MS Edge, IE 11 and Firefox. On Windows 10 there is today a clear winner when using SharePoint or Office 365 and you may be surprised. The jury is still out on whether you should upgrade. I think it is time for early adopters, but I also think Microsoft has some work to do to support Drag and Drop as well as Datagrid with MS Edge. Do that at a minimum and we’ll call the calvary to start pushing for Windows 10 upgrades. Otherwise you’ll have an exodus to Chrome. Microsoft also needs to get a better handle on ensuring IT is control of the patching situation. Impromptu updates can be a nightmare. Making career and job decisions is hard. Most people involve God in decisions like this. It’s a big deal. After I left one of the best jobs at Microsoft, I really wanted to make a difference in the community. I feel like I’ve been able to do that, but the adventure was far from over. You rarely know the full story. Some day I should put together a behind the scenes book together that talks you through why I zigged instead of zagged. In 2011, I moved to Salt Lake City, Utah to work for the LDS Church to run their Collaboration Environment. I had a fantastic time. I built an amazing team and met some incredibly talented people who could move mountains, mission accomplished and we really did. I hope you meet or get an opportunity to work with some of those people in this small community. In 2013, the church had 20,000 new volunteers they needed to accommodate (they changed the age of the missionaries from 19 to 18 for men and 21 to 19 for women) and the budgets needed to shift.) I was happy to have been part of an incredible amount of change at the church in the collaboration space. It was an incredible opportunity and one that was destiny. Some day you’ll have to ask me about my Jonah and the Whale experience when I was in Joffa and realized I needed to go work for the church. Not pictured. Our awesome interns. Many know I spent some time with on Presales, Business Development, Marketing, and Management. Since the other places I spent some time are still in business let me not name names and share what happened. I was in a great position to join startups and lend them my abilities, but not all businesses succeed at first and not all opportunities are a good fit. These past couple of years have been trying as Microsoft has shifted it’s marketing muscle to the cloud. Was told “After this next check we won’t make payroll.” No one was getting a paycheck. That changed to… Only those billing will get paid for what they billed. I stuck around for a few weeks and worked on some deals, but ultimately found something more reliable. Still friends with those that are still there and wish them the best. Was told one thing going in, and the environment changed including losing my boss and restructure of the entire department. The person who hired me was no longer around to explain why I was hired and provide direction. The needs changed and we decided mutually that it was better if I look elsewhere. No burned bridges. I don’t believe in that. We live in a small community, so it’s important to keep good relationships with everyone. Still only wish these guys the best. When I had the opportunity to move to California I took advantage of it. I was born in the bay area and my wife is from Southern California. I hadn’t lived in California since I was 5, but many summers we visit Southern or Northern California. While I grew up in Idaho and am extremely fond of the mountains, I have always wanted to live by the beach. That’s really been a big dream. I learned surfing up in Washington, but I need more practice. A couple of summers ago, I did a southern California User Group Tour starting in San Diego to Orange County and Los Angeles. It was here I first met some of the Hershey Technologies people. I first met the SharePoint MVP Haaron Gonzales while speaking in Mexico City. I met Tom Castiglia when I joined the User Group committee and hung out while working on the Speaker Dinner for the SharePoint Saturday San Diego. I had some crazy ideas about fire dancers and hula dancers on the beach in San Diego. With his help we were able to pull it off. It pays to think big. I’m very excited about my new house and cute puppies. Just closed about a week ago. Oceanside, CA a San Diego suburb is my new home. I’m in a good place. Feeling Zen. My kids are in good schools and making good friends. Life is good. When I started looking for work based off some startup challenges at a previous place of employment that I don’t want to get into. I reached out to the User Group committee and asked for suggestions. It was there that I kicked up conversations with Tom. I was surprised to find out that Hershey Technologies has been working in the ECM space many years before SharePoint was even a concept. I went on the wayback machine and saw their site from 1997 (crazy!). They were supporting scanning, printing, faxing and data capture into ECM with Kofax and essentially doing software and hardware support since 1991! In all of the companies I’ve worked for I’ve never had someone celebrate a 20 year reunion, but that is not uncommon here at Hershey. (Honestly, I did join a Jeff Raikes going away bash, and he had put in 27 years at MS… 20 years more than mine. We had some great chats since he was leaving Microsoft at the same time I was.) Seems like half the team has worked here for 10+ years! What I found was while they are a small company, they aren’t exactly a startup. What I see is a family. Tom heads up the SharePoint and Office365 practice and Neal drives sales and the Kofax business with Arjay. Tom and Neal have been running the business very consistently for more than 20 years with serious reliability. Their clients love them. I felt something here that I really liked. They are all putting in serious effort and enjoying what they do. They take on hard challenges and work together. They supported my focus on community and in helping customers succeed. They’ve supported my ideas of around focus on adoption, governance, and in adding real business value. Over the last couple of years I have encouraged people in IT to pivot their skills to ensure they aren’t left with skills that are out of date. Just like those who stick to the command line… STSADM really has become obsolete… you better learn scripting and powershell or you’re going to have a hard time administering SharePoint in an automated way. I’ve had a passion for community, social marketing, content marketing and marketing. The opportunity to own marketing for Hershey Technlogies has been an exciting proposition. Not only can I help provide direction around the Hershey XenDocs products, but I can step in and line up webinars, events, SEO, website content marketing. In fact I just launched the website http://hersheytech.com Ultimately I’m helping connect solutions with people who need help. I don’t really have to do any selling when I match the best solutions to the people who need it. There are customers who need help and I try to be there when they need me. I say, awareness is the biggest problem in the vendor space. 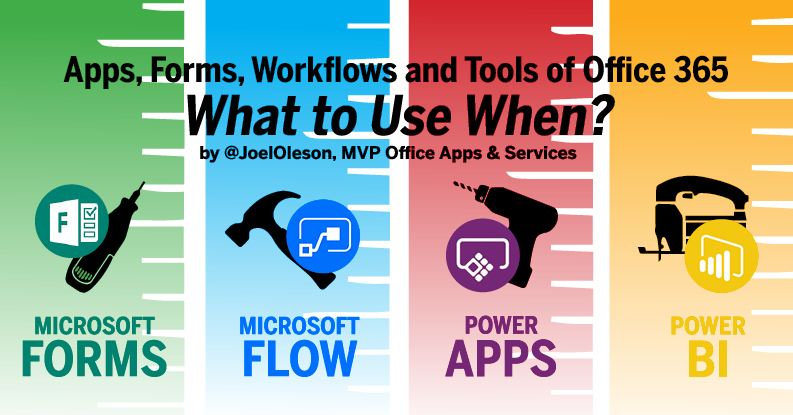 If I can do more to help provide awareness around the tools we provide around legacy ECM migration to SharePoint, and data capture to SharePoint with Kofax and XenDocs. I can strengthen both my marketing skills and hone in on strategies that can help in any industry. You can read more about Hershey Technologies. Has your travel requirements caused problems with your employment? No. Travel has never been a reason that’s made me leave. I do feel like I was travelling too much while I was at Dell Software (was known as Quest). 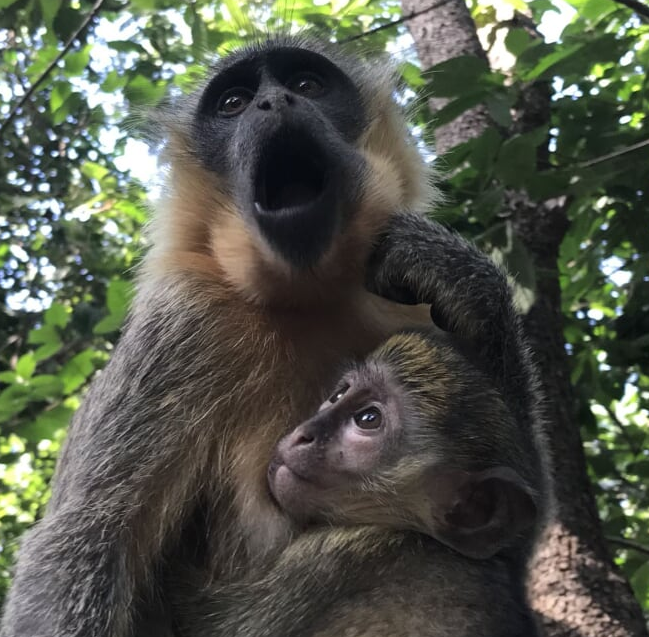 They told me I was traveling more than I needed to, and it was true. I was giving myself more travel than I needed to. But in any of the startups travel was not an issue. I do love travel and I work out an agreement before I start work to set proper expectations around international events for both parties. Why don’t you just go independent? Why all these startups? Couldn’t you just go work for Google or Microsoft? I did enjoy my 7 years at Microsoft and would consider working for Microsoft again. I’ve been approached by Google and Amazon, but I’m now enjoying my new life in San Diego. Going to work at HQ for a company in Silicon Valley while exciting isn’t in the plan for the near future. The commitment I’ve made to Hershey is solid. Hoping that things work out for them and me. I got a call from Microsoft a couple days after I joined. Sorry, too late. Are your travel plans associated with the Church? Seems like you visit a lot of LDS temples. I love seeing and visiting the LDS Temples doting the globe. There are 146 operating temples 13 under construction and 14 announced. I’ve visited over 65 different temples and it brings me peace where ever I am in the world when I see one. I’ve got others in the community taking photos of temples as well. My daily commute takes me right near my favorite temple, the San Diego Temple, where I was married 20 years ago this August. Are you going to be traveling less? I still get opportunities to speak. I weigh those with work commitments. I have worked out an arrangement with work, where they support some of my international speaking, events and community building. So I will still be doing a fair bit of travel compared to most. Compared to what I have done, it should be similar. 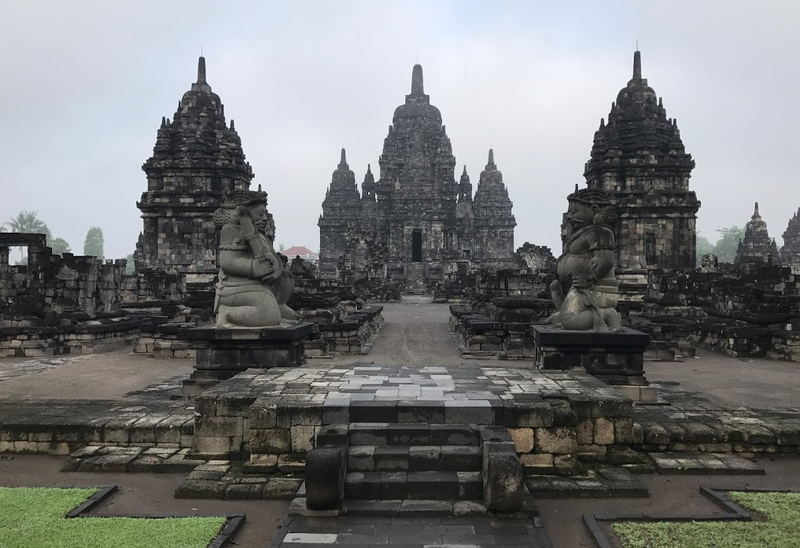 I am still on a quest to visit every country in the world, but it’s getting a lot harder and so it requires more planning and more visas. What about independent work like product reviews and webinars with other vendors? While I have reduced a lot of that, I still enjoy doing panels like the Enterprise Social panel I did last week with IT Unity and last month with Cosign and will be presenting at #SPBiz15 in a couple of days. I have written up some simple intros for Content Panda and Office365Mon in the last month. I am in touch with a few vendors that want to do joint webinars and product reviews. I’m always looking for community sponsored travel funds so I can reach farther places. I don’t ask Hershey to pay for my international conferences. What events are you doing? Where can I see you? Latin American Simposium in Santiago, Chile (we’re looking for sponsors).